Team Mystic of the break out game Pokemon Go is a team that is full of sass and chivalry. With an enchanting monicker, Team Mystic stands out from the rest of its counterparts and deserves to take the crown as champion in the Pokemon gaming-verse. To be a member of this exceptional team of Pokemon battle masters, you will need to have some innate traits that are synonymous with Team Mystic. For those who do not know much about the Pokemon Go gaming verse, it sure would make a lot of sense to get to discover a little history behind this prolific game in general. It actually started as a cartoon series launched on the 1st of April, 1997 to much critical acclaim in Japan and most parts of Asia. It, however, gained inroads to the American continent and its successful reception was as a result of the growing popularity of manga related series as well as martial arts all pioneered from the Asian continent, particularly, China and Japan. Given the massive advancement in gaming technology and apps, the Pokemon Go was thus designed as an augmented reality (AR) game suitable for iOS and Android devices. The company responsible for this feat is Niantic in collaboration with gaming giant “Nintendo.” Officially, Pokemon Go was launched in July 2016 to critical acclaim and only a selected few countries had access to the game in its early days. The game makes use of the GPS on mobile devices to either capture, locate, battle or train virtual creatures called Pokémon. The game also uses a freemium business model which enables in-app purchases. No doubt the Pokemon Go is loved by most gamers, old and young considering it’s over 500 million user downloads, nevertheless, there were some technical issues fans complained about. However, these issues have been long fixed. When it comes to the gaming world of Pokemon Go, there are basically three teams to look out for. These teams include; Team Mystic, Team Valor, and Team Instinct. As different as their names are so are their attributes. So if you are thinking of choosing between any of these teams you may want to learn about the attributes of each team, so as to discover the team much suited to your personality. For the sake of this piece, Team Mystic is the focus. Therefore, here are 7 facts you need to know and signs that you belong to Team Mystic. 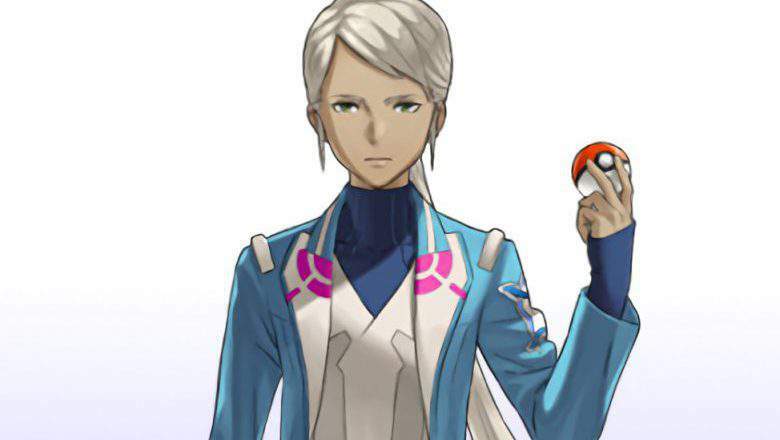 If you are new to Pokemon Go, you should know that every team has a leader and for Team Mystic, their leader is Blanche. When the game was initially launched, very little was known about “Blanche.” No one knew what she looked like; all the gamers were exposed to was a silhouette of her. However, this changed in 2016 when Comic-Con released her full image. She was so gorgeous with white hair. Also, she wears mainly blue (blue coat and blue boots). Who wouldn’t want to be a part of the leading team at least I know I would. Team Mystic is definitely the most popular team in the Pokemon Gaming verse. The second place goes to “Team Valor,” while “Team Instinct” comes third. Team Mystic is also believed to have more nerdy members on the team. People who join are usually people who like the comfort of their own space, think wild about science, inventions and basically have a high curiosity level. This Team has members who are no pushovers. Though they are largely known as being nerds, they have very tough skin and are emotionally stable. When they face negative situations they look for best ways to get better solutions. In general, the team members are proficient in throwing punches when facing foes like Vaprorean or life as we know it. Members of Team Mystic are believed to be fearless when faced with scary situations. They going into every battle with formidable foes with utmost bravado and that is one of the reasons they are the best of all the Pokemon Go Teams. Team rivalry does exist and it makes sense that such rivalry is experienced given the fact that members of a certain team want to take the crown and become the best. Hence, the hatred for “Team Valor.” This is so because though there are three teams, Team Valor takes the second spot and it constantly trying to overthrow Team Mystic. There you have it, some interesting facts about “Team Mystic.” Do you find any of these facts suited to your own personality, if yes, the “Team Mystic” might just be the perfect team to join as you are sure to have a blast feeling like you really belong to a team designed especially for you.